Until very recently, tech stocks were soaring to record highs and a slump in volatility suggested investors brushing aside market risks, trade war concerns, and Central Bank tightening. However, amid all this calm, there is at least one gauge of investor sentiment that is at full panic '11' levels. 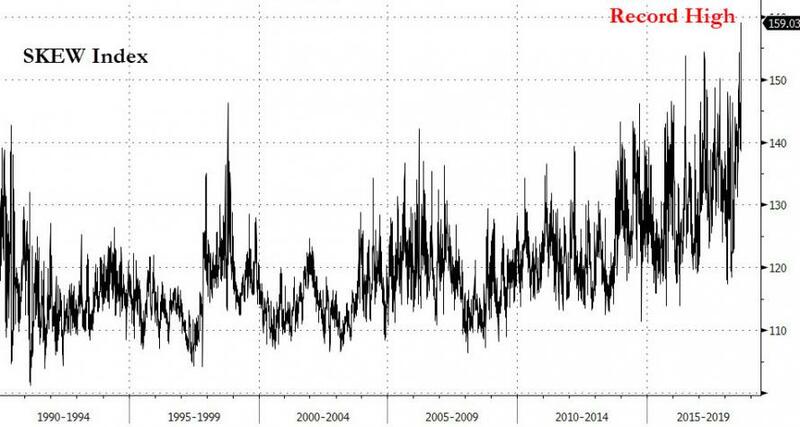 The CBOE Skew Index, which tracks the cost of tail-risk equity protection, has jumped to its highest level ever. The rise signals options traders are growing wary of wild swings, just weeks after the International Monetary Fund warned financial markets seem complacent to mounting risks in the global economy. 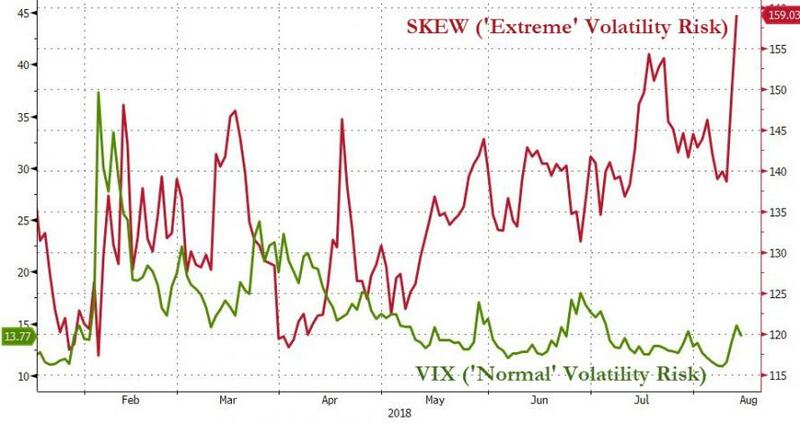 But an unusual move in the skew index (which historically has tended to oscillate approximately between a value of 100 and 150) is especially interesting when it diverges strongly from the VIX, which measures at the money and close to the money front month SPX option premiums. 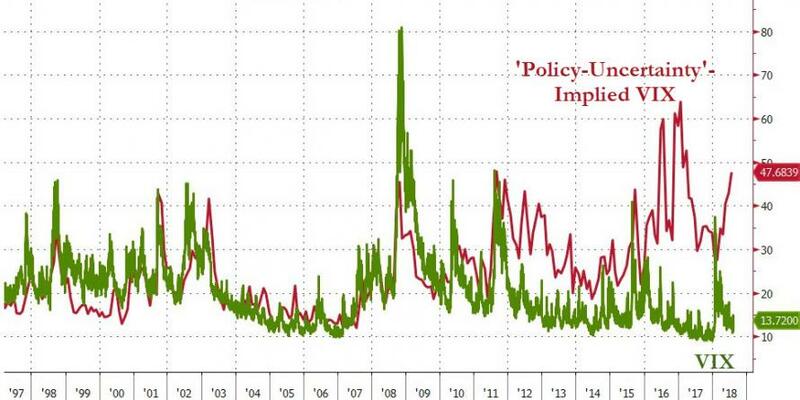 Basically what a 'low VIX/high skew' combination is saying is: 'the market overall is complacent, but big investors perceive far more tail risk than usually - a record in fact' (it is exactly the other way around when the VIX is high and SKEW is low). In other words, a surprising increase in realized volatility may not be too far away.